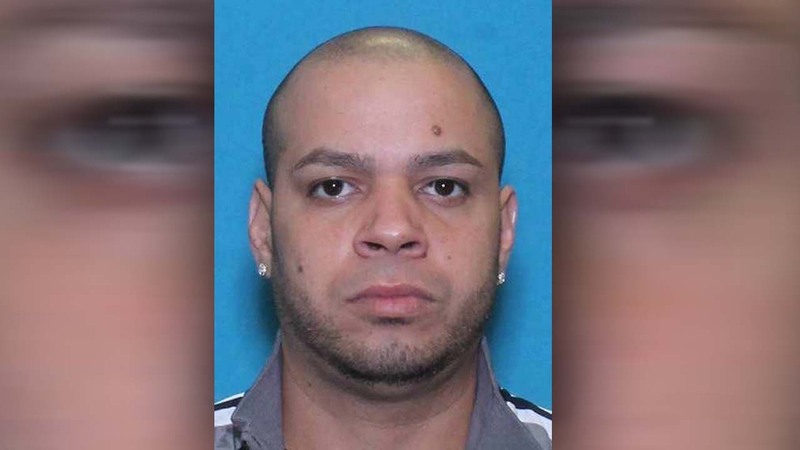 HOUSTON (KTRK) -- A 38-year-old man charged in the shooting death of his girlfriend is on the run today. Bryan Euymr Vega-Velez is charged with murder after Alma D. Rivera-Melendez, 28, was found dead in the 9800 block of West Sam Houston Parkway in northwest Houston on Saturday around 12:40am. Houston police say Vega-Velez and Rivera-Melendez were in a dating relationship and were arguing via text messages throughout the day at work. Police say Rivera-Melendez arrived home first where she continued the argument via text messages while on the apartment's patio. When Vega-Velez arrived at home, police say he confront Rivera-Melendez. A witness reported hearing the couple argue and then a single gunshot. Vega-Velez then walked back into the apartment before fleeing the scene. Anyone with information on the whereabouts of Vega-Velez is urged to contact the HPD Homicide Division at 713-308-3600 or Crime Stoppers at 713-222-TIPS.